List Rules Vote up the movies you agree deserve all the badmouthing they can get. There are a lot of bad movies out there. Even so, the filmmakers and actors behind those movies don't often admit they are that bad. For an actor or director to lambast their own movie might actually put them in legal jeopardy. That said, when a movie is bad enough, sometimes even the artists behind the films just can't hold their tongues. There are some big name actors who hated their own films: Ben Affleck, George Clooney, and Halle Berry to name a few. There are also directors who talked smack about their own movies, though they are usually more inclined to blame the movie studio for a flop. Most of the time, when these Hollyweirdos speak out against their work, it's years later in a "tell-all" interview. But every once in a while the public gets lucky and the filmmakers and talent of a movie will go nuts with some crazy DVD commentary tracks. It takes some real guts to make fun of your own movie during the movie. Here are some interviews where celebs bashed their worst movies publicly, and even better, some bizarre DVD commentary tracks where filmmakers just let loose on how awful things turned out. There are even a few writers who take pot shots at adaptations of their own creations. It's not really slander when its your own art, right? The DVD commentary for Twilight features stars Robert Pattinson and Kristen Stewart, and they clearly are more than aware that this film was not the finest one made. They spend a good portion of the commentary ridiculing the film. Skip ahead to the four minute mark and you'll hear them making fun of a particularly stupid scene in which Bella Swan has painful flashbacks induced by a dead guy's foot. This entire series probably would have been better if it were just six hours of that dead guy's foot. Ben Affleck knows Armageddon is utter nonsense and says so in the film's commentary. He makes the exceedingly salient point that the fulcrum of the movie is the notion that oil drillers can learn to be astronauts, but astronauts can't learn to drill for oil. Objectively, that's a profoundly stupid argument. 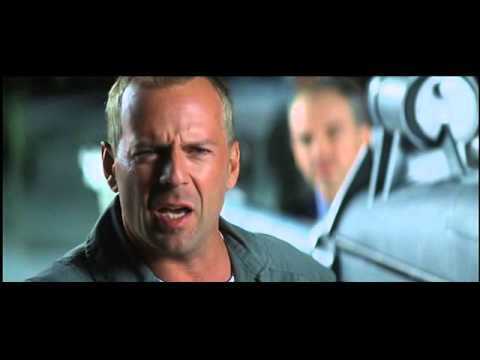 What's more, in this clip, Bruce Willis's character actually makes fun of the NASA employee for saying the astronauts have trained 8 months to learn all they need to know about drilling. Pssh! As if that's enough! Ben then points out that the oil drillers learn all they need to know to become astronauts in a WEEK. For pointing this out, director Michael Bay told Ben Affleck to shut the f*** up. That Bay guy really is a winner, isn't he? Catwoman may not have been the worst DC movie (somehow, amazingly), but it definitely wasn't the best. Halle Berry has never hid her feelings on the matter and was even so gracious as to accept her Razzie for the film in person with an eight-minute speech. It's actually pretty funny, especially when she starts by thanking Warner Bros. for putting her in a "piece of s***, god-awful movie," a descriptor that might actually be too generous for this film. Woody Allen hated his film Manhattan so much that he tried to stop it from ever being released: "I didn't like the film at all... I spoke with United Artists and offered to make a film for them for nothing if they would not put it out." Star Mariel Hemingway, just 17 at the time, accused Woody Allen of trying to seduce her. So she probably doesn't have the fondest memories of it either. All around, not Woody's best work and certainly didn't help his already bad reputation when it comes to young women.